Below is an interview transcript with Rachel Meltzer. This transcript is part of a series of interviews that are meant to shed light on how experts think about inclusionary zoning. You can see a full listing of all published transcripts here. This transcript was lightly edited for clarity. 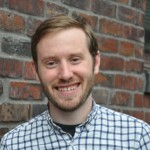 Owen Pickford (OP): To get started, how familiar are you with Seattle’s inclusionary zoning policy, if at all? Have you even heard they are considering one. Rachel Meltzer (RM): No, I first heard from you, from your email when you mentioned it. I was not aware they were considering it. It doesn’t surprise me I guess, given the context I know very loosely about the Seattle market and the city there. But I did not know they were officially considering it. It’s been written and what? It’s under review? OP: They haven’t actually proposed the first draft of what it would look like but they had a long, two year period of political wrangling where they set some guiding principles of what the legislation will look like. And it’s likely the legislation will come out of the planning department in the next couple of months and voted on, or begin to be voted on probably in the fall. It will be a series of votes and probably go through the end of next year. OP: So the basics of the policy, the guiding principles that they sort of agreed to so far, are that they are looking at a 3-10% requirement of below market units. Those units will probably be between 30-60% AMI, I think is what they are aiming for. They are only going to implement it in areas where they are doing upzones. They are going to do the inclusionary requirement and the upzone at the same time. That’s why it’s going to take them a year to do it because they’re going to do the upzones incrementally. OP: And they are only doing upzones in areas of Seattle that are called urban villages or urban centers which are planning designations of areas where they created extra development capacity to allow growth. So they are trying to funnel growth into areas that are transit rich or amenity rich. RM: Ok. Are these areas that are otherwise experiencing, I don’t know, gentrification? Or are they areas that are primarily inhabited by lower income people. OP: There’s both really. The areas were really only designated because of their amenities. There are areas that are lower-income that have hardly seen any development yet, that are urban villages or urban centers. Then the hottest markets in Seattle are a few gentrifying urban centers. But there’s like 32 urban centers in Seattle. There’s some variety. RM: They’re going to target all of them or just some of them? OP: All of them. Yep. So the reason I wanted to get in touch with you is because you helped with a paper I’ve read, although I apologize if I get any of the details wrong. I’m not classically trained as an economist or planner. It’s an amateur interest. But part of the reason I wanted to call and talk with various authors, you’re one of many I’m talking with, was to make sure I understand your paper correctly. And if I quote it, to make sure I get it right. So you did this paper with the Furman Center of Real Estate. Right? RM: Yeah, which paper are you talking about, what’s the name of it? Which one? OP: Oh, the name… It’s the one where you looked at three different municipalities and you wrote a summary of it. Do you know what I’m talking about it? RM: Yep, yeah. There were a few. They were all drawing from the same data in different ways. But that one, yeah, was 31 flavors of inclusionary zoning. OP: So, I’ve read through that. There’s a lot of great reasons to do inclusionary zoning. Most of them are not controversial. Most people in Seattle are actually pro low-income housing in their neighborhood. Those things are not as big of fights in Seattle. In our political context though, the biggest fight is the supply argument. If we have this additional cost, we’re going to reduce the amount of housing that’s produced. That’s an argument that’s being made most loudly by the development community, unsurprising probably. The affordable housing community thinks it’s kind of bunk, that the effects they’re imagining are way over-exaggerated if there’s going to be any effects at all. SO there’s that debate. Your paper looked at three cities, my memory is DC, Boston, and San Francisco. It found some effects in Boston on the construction of new housing. It did not find an effect… or I think effect is maybe not the right word, a correlation in Boston. It did not find a correlation in San Francisco. If my memory serves me correctly, you couldn’t come to a conclusion in the DC area. RM: Right, because we didn’t really have the data. OP: Yep, ok. Is that a fair summary of your memory of it. RM: Yeah, I don’t actually have it in front of me. In that paper we looked at production. And you’re right to call it a correlation. That paper was very descriptive. We were just looking at the different design components of the IZ programs and put them up against which places tend to produce more. There was another paper where we just looked at the Boston suburban area and San Francisco, which is not the paper I think you are referencing, where we did more directly test the impacts of IZ on prices and housing production. That was a different paper. I don’t know if you’re referring to that one. We didn’t look at the DC area in that one though. You’re right. RM: The thing about the effect of IZ on the production of units and prices, the big finding, and again it doesn’t sound like that’s the paper you were looking at, but it really depends on the market. Right? It’s very market specific so it’s hard for us to say IZ will never impact supply or never impact prices because every market, even within a single city, sub-markets can be very different in how they respond to a program like that. I think if I had to draw a general conclusion from all the work I’ve done, that’s definitely a consistent one, that it all depends on the markets. But what we do find is in stronger markets, and generally markets that are appreciating, you are more likely to have some of these negative side affects, whether it’s pushing prices up or reducing supply, the latter of which is very small or non-existent. Because there’s just enough energy or tightness in the market to require inclusionary zoning, developers can pass some of its cost onto market buyers in these kinds of “hot” markets. Therefore, even with that requirement it still pencils out for the developer. It’s still worthwhile for them. OP: Yep, ok. I understand fully that this is going to be a little bit of speculation for you. I’m just curious what your intuition tells you. I’m not trying to pin you down on an opinion where there’s not any data. That’s not my purpose. So this is my understanding. There’s three theories about how the market is going to handle an IZ requirement. And this is probably why you say it depends on the market because they might do different things depending on the state of the market. But my understanding is that either you can get something like a cross subsidy where units in a building subsidize the below market rate units without affecting supply. Or you can get a reduction in supply that increases costs in the market. Or the developers bid less on land and the landowners eat the costs. Is that a fair assumption of the three different views of what can happen? Or would you describe some other views? What are your thoughts? RM: I’ll be honest, and this is not something I’ve empirically tested, I’ve worked a lot on inclusionary zoning beyond the papers you’ve seen. I’ve been involved a little with what they’re doing in New York City. I’ve done some more work in Washington DC. Right, so I think the best case scenario is where you have market rents that are high enough, that demand enough of a premium, that when you pair it up with IZ, you have market rate units and 10% are going to be required to be affordable below market at whatever level. Obviously the developers are losing income there. Because in the alternative scenario where there’s no IZ, they could grab market rents. I think it’s unrealistic to say the developer is necessarily going to be in the same place he or she would be without IZ because of the fact that you’re requiring affordable units, the income stream of the project is going down (assuming market rents are not increasing proportionately, which is unlikely in most cases). The real question is, is that reduction in income big enough that it’s actually going to stall development. In cases where market rents are really high. RM: I’m not as familiar with the Seattle context, but we always use here in New York City Manhattan. Manhattan, essentially the middle part of Manhattan, there you can get really high rents. There we’re not really concerned that development is going to stall as much as other places because the high rents you’re going to get are going to be able to pretty easily cross subsidize the affordable units you’re requiring. So that’s one scenario. The other scenario that’s pretty likely to happen in markets or sub-markets that have more slack, don’t have as much demand, don’t have the premium in rents or prices, there’s really a risk. It can be risky to say, “Look we’re requiring this share of affordable units.” For the project to be self-sustaining you need the upside. You need those market rents to be able to cross-subsidize. And yes, I don’t know what the threshold is. It’s different for every city. It changes every year. That’s what makes IZ tough, that threshold after which the projects become infeasible. That would be the other scenario where the requirements of the program are so burdensome compared to what the market can achieve in terms of supporting it that you could get no development. Or you could see… I don’t know. Is there a minimum size that they’re proposing? OP: There will be, yes. RM: So sometimes a lot of places say, “This applies to buildings of ten units or more.” What you could also see is a lot of developers building right below that threshold. So you could see a lot of nine units buildings. That could be financially more feasible than doing IZ for fifteen or twenty units. OP: There could be a cliff where it makes sense, yeah. So do you not buy the argument that developers build less on land when they know they have an IZ requirement? RM: Well, ok, that could happen. Sure, if they don’t own the land yet. This gets tricky because if you’re upzoning it’s hard to say what the comparison is. Less than would’ve been bid before? I don’t know. Because you can build bigger now so I’m not sure what you would compare it to. The argument about land adjustments could happen but to be honest it takes time. That’s, in my mind, not going to happen right away. OP: When you talk about cross-subsidies or does the market have slack, you’re talking about the short-term repercussions of IZ probably. But in the long run do you think it is something that gets bid into land? And what’s the long run? Is five, ten years? Three years? RM: This is going to be mandatory right? OP: Yeah, it’s going to be mandatory. RM: Yeah. It will get bid into the land. I mean this is a tax in some ways. You can only build so big. You’re income in the project is constrained. So it’s like a tax. I view that as it’s reducing the potential income of the property. So yeah, sure, over time that should be reflected in land prices. But I don’t know. It’s very dynamic. As you said, it’s an upzoning so there’s a new maximum right to build that’s now in place. Sure, the land prices will be lower than if you didn’t have this IZ requirement and if you upzoned. OP: But that’s over the long run and what’s your thinking? RM: But if IZ is there, there’s still value in this upzoning and how long this will take, I don’t know. It depends on what’s happening in the market. If other things happen to shock the market. I would think it should take at least a few years to see some projects go up. To see how the program rolls out. We like zoning because it makes things predictable but if it’s a new program it’s still somewhat unpredictable so it’s not clear that land prices are going to settle down that quickly. I think people are going to want to see how this plays out a little before it reaches an equilibrium per se. OP: The landowners will be paying attention basically to what happens. RM: Oh yeah. So the question is will you sell it now or wait until the law passes. My hunch is that i would wait until the law passes because of the upzoning. Even if some of those units go to affordable units. I would think even on net the market rate units you are getting are going to be more than what you are getting now. If they do the math right. I think legally too, there’s also a real legal vulnerability a city assumes when they do because they don’t want to be accused of regulatory takings. They have to be careful in how they write the law, in terms of the loopholes they put in there and the safety valve but also how much they can really extract from the landowner and the developer. OP: So the reason I’m asking that is that in my mind, the ideal situation is the cost comes out of the land. That’s the best case scenario. If that’s what a city is aiming for, what sort of timeline should they telegraph with the IZ requirement. Seattle’s been talking about it now for almost a year and half, almost two years. I feel like maybe that’s enough telegraphing to the market, “This is what we’re doing. We’re going down this route.” It might be helping in that way but I’m kind of curious if there’s a best practice. RM: I don’t know. I think until it’s written and passed into law it’s very hard to convince people that this is something they can rely on. We saw it here in New York City. It goes through various approval processes. There was a moment, maybe a months or two ago, where it didn’t look like it’s going to pass. No one was going to bank on it at that point until it was signed into law. Anything could change. I think the other piece that has come up a lot in New York, we have extremely high land costs obviously, so a lot of arguments have been made. There’s also a very popular tax abatement program that expired that has been instrumental to the production of affordable housing here and has been embedded to land prices. It was kind of a baseline assumption. So a lot of people are saying, “Well land prices will adjust.” But there’s been at the Furman Center, where I’m still affiliated, they did some research that suggests but I don’t know if this is the case in Seattle, that beyond land costs there’s also construction costs. RM: So even if you say, “Ok this is going to be absorbed by the landowner and they’re going to get the hit. So they have to sell it for less money.” The developer still has to assume the construction costs. There are cases, and again this is why it’s abstract in terms of Seattle because I haven’t seen any numbers, I don’t know how much it costs to build there. Even if you could say that the land prices will adjust if you still have a labor costs that are prohibitive, pushing prices up too, that is something that has to be considered. And that could be lowering the profits for the developer too. You obviously need the development community on board because that’s how you’re going to build affordable housing through inclusionary zoning. I think it’s very hard to make the case that their going to be earning the same returns they would’ve if IZ hadn’t been in place with that upzoning. That’s part of the deal. OP: In the short term and the long term? RM: Yeah, in the long term. Again if you rezoned and didn’t impose inclusionary zoning and gave an upzoning, you gave them more density, they can that all market. But if you put inclusionary in there, part of it has to be affordable. Is it going to be permanently affordable? Is that what they’re talking about. RM: Yeah, so that permanently adjusts the potential of return or income of that property down. OP: Do you want to take a wild stab in the dark about how much, with a well-crafted policy, how much of the cost of IZ goes to developers and how much goes to landowners. RM: You mean costs like the hit? Reduction in income? RM: Oh I have no idea. I mean it depends on the elasticity of the supply of land. It depends on construction costs. It depends on the efficiency of how the program is run. In a lot of my research the success of IZ is not just in the design but how it’s actually run. A lot of projects and developers kind of get hit just because the program is not necessarily run well. So that’s another cost for the developer. This increased process of compliance and oversight. That’s a cost. I don’t know. I have no idea who would come out. At least the landowner is out in a sense. If there’s risk in the ongoing unpredictability of being involved in the project, the developer assumes it. Developers take risks. That’s why I’ve always said it’s ridiculous to expect they shouldn’t get a profit or return. They are taking a risk when they develop a project. Whether they should get a windfall is a different story. That argument could be made for the landowner too. They sat on a piece of land that is now getting upzoned. Do they deserve that windfall? Should some of that be recaptured by the city? Which is what they are doing with IZ. It’s a form of recapture. OP: I know you only have a little bit of time left if we’re going to make thirty minutes. I just had a couple more questions if that’s ok.
OP: So generally speaking with an IZ program that you think is well-crafted… Well one, do you think it’s possible for municipalities to do well-crafted IZ. And then if that is possible, are you generally supportive of well-crafted IZ policies. RM: Yes, I think it’s definitely possible. And I think IZ is a very important tool that local municipalities have. I think it’s important because it’s something that’s entirely under their control. They don’t have to go to the state for authority. It’s under their local zoning power which is important. It’s also appealing because they don’t have to put out money, at least not directly. It’s all through their power of zoning. I think that’s a really neat way to leverage affordable housing. So I think theoretically it makes sense and I’ve seen it done well, more so in stronger markets. It can be, dangerous might be a strong word. It can be tricky in markets that aren’t really strong. OP: What’s the gold standard that you’ve seen for IZ policy. RM: I think the one thing I’ll qualify. The thing about IZ is that it should be one of many things that cities are doing to provide affordable housing. I’ve never seen it produce hundreds of thousands of units, except over multiple decades. Montgomery County in Maryland has a very long, well established program that’s done very well and I’d definitely name it as one of the successful ones. It’s been around for a long time. They’ve produced quite a large number of units but I’m blanking on the exact number. But over multiple decades. And the it’s also a different setting there. It’s suburban. They’re dealing with probably a more homogeneous population than many of the cities that have tried to implement it. San Francisco I think is a good example of a place that’s implemented an effective inclusionary zoning program. And one that seems to have adjusted over time as the needs of the city and the market have changed over time. I often point those two out. And here in New York, it hasn’t happened yet, my argument has been that New York City is probably one of the best places to have a mandatory inclusionary zoning program because the market is so tight here. RM: If it should work anywhere it should work in a place like New York City. I don’t know of all of Seattle but from what I understand of what’s happening there probably at least neighborhoods, parts of the city, that are really ripe to benefit. They could really leverage a program like this. It’s definitely possible. It shouldn’t be the only tool that a city is using. It’s really hard for IZ to get at very poor households because your relying on this cross-subsidy mechanism. You need other sources to really target very, very low income but I think it can do a pretty ok job of getting the middle to low incomes. Like here and Seattle, you’re talking about under 10%. I don’t know how tall they’re talking about going, how big. But that’s not a lot in absolute numbers. So it just gives you a sense of the scale of IZ. It’s not one of your biggest affordable housing programs. In my mind you do all you can. It certainly should be one of the tools you’re using if you have a market that can sustain it. OP: I don’t know if you saw but Seattle put together a huge report, 65 recommendations for improving housing affordability in the city. It’s a really good report. I was really impressed to be honest with what they put together. And yeah, IZ is just one of the pieces but it’s sort of the center piece of what they’re doing right now, along with an increased levy for housing and some other things. Just out of curiosity, do you have colleagues, people who study this or people you work with and you respect, who disagree with you about aspects of inclusionary zoning? You respect their opinion though. And what is the disagreement if you’re able to articulate it? RM: Let me think. That’s a good question. I’m probably going to sound so silly if I say no. But I think that’s true because a lot of the people I’ve worked with on this, we’ve done the research together and we’ve kind of come to similar conclusions. I’ll be honest, again, this comes out from my recent experience in New York City, a lot of the people who have done research on IZ, and I can’t claim to have spoken to all of them, seem to be on the same page, in terms of what I’m talking about. Understanding more about what it takes for it to work and what it’s intended to do. And the fact that having a flexibly designed program, which was one of the big take-aways from that paper you first mentioned, is really important. I’m not trying to lump everyone together but I think the group in the conversation in New York City that has really pushed against inclusionary zoning has actually been more the advocacy coalitions and communities that are rightfully putting out a voice for the lower income members of the community that are going to be subject to the rezoning and potentially vulnerable to overall prices going up as the areas become more developed. RM: They were really concerned that the program targeted and included units that were accessible to very low income people. That seemed to be the strongest voice against IZ. I interpret it as not necessarily, and I don’t know if they would agrees, as they were against IZ. I think they wanted affordable housing. They just wanted deeper subsidies. My response, and I’ve met a lot of people who agree with me who have researched IZ or are in affordable housing production, who say, “In theory that’s great. But there are limits to what IZ can do and reach.” Because again you are relying on the private market, this cross-subsidy. You can only go so deep. The idea is really what this is going to do is produce units in the middle to low range and hopefully allow the city to save it’s money to spend on very low incomes. It’s a way to get existing money put to more use, to spread it out more. Rachel Meltzer is an Assistant Professor of Urban Policy at the Milano School of International Affairs, Management, and Urban Policy. She has done empirical research on inclusionary zoning. You can read more about her here. You can read the full interview here.